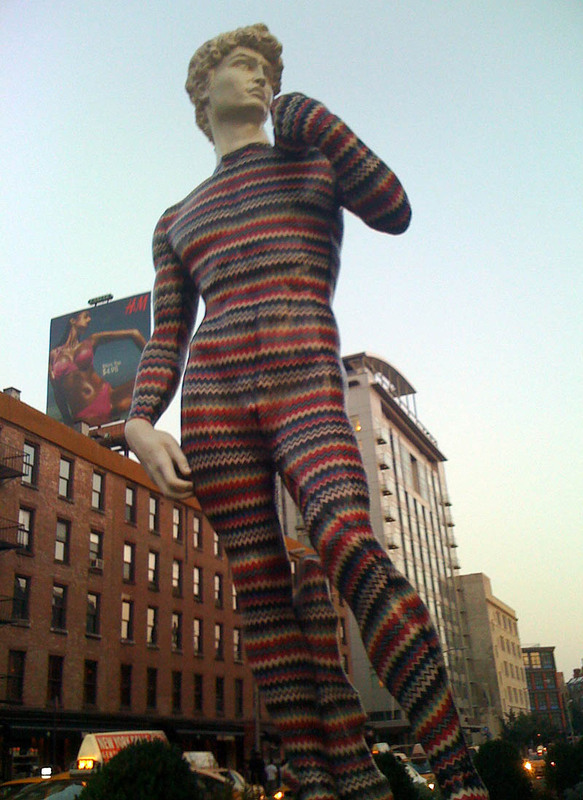 This past Saturday, on our way over to the High Line for an evening stroll, Daniela and I spotted a large — yet much smaller than the original — 5-meter tall version of Michelangelo’s David plopped down, smack in the middle of 9th Avenue and 14th Street sporting a classic Missoni zig-zag skin. Right in the heart of the Meatpacking District, this surprising sight was not missed by many. There was no sign or explanation attached, but upon googling I discovered that the statue is the creation of, and collaboration between, Spanish artist dEmo and Luca Missoni. 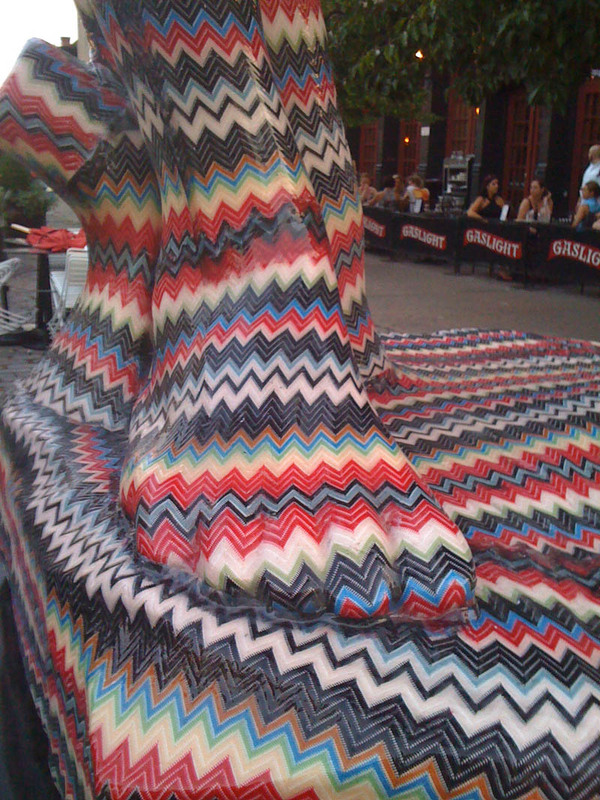 Originally installed in front of the Missoni store in Madrid, Spain back in 2010 with a larger zig-zag patterned outfit, for their Fashion’s Night Out, the statue seems to have made an appearance in Barcelona as well, and is now in NYC until September 2012. You can watch a video of the statue’s installation in Madrid, here. Bottom photo solifestyle; all others collabcubed. This entry was posted in Art, Fashion, Fun, NYC, Pop Culture, Street Art, Stuff We Like. Bookmark the permalink.